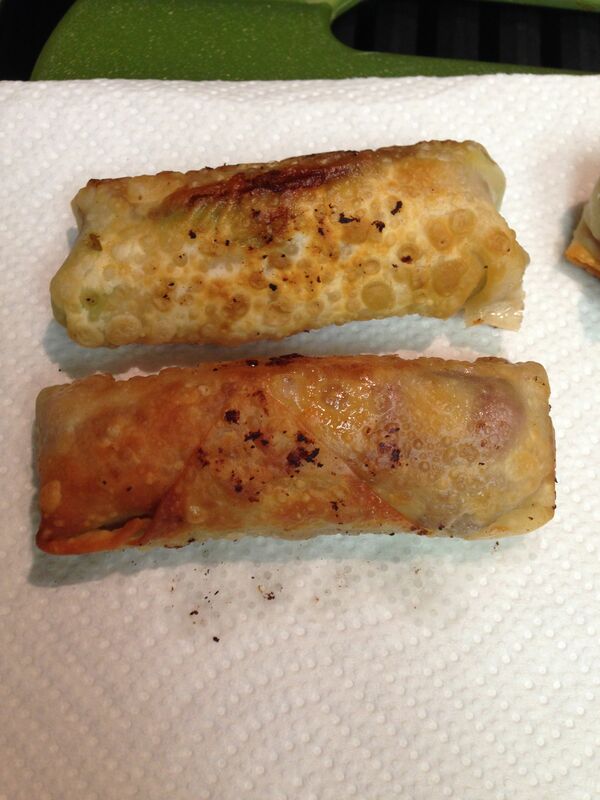 As I’ve mentioned before I love baking egg rolls, but sometimes you just want the rich flavor from pan or deep frying. 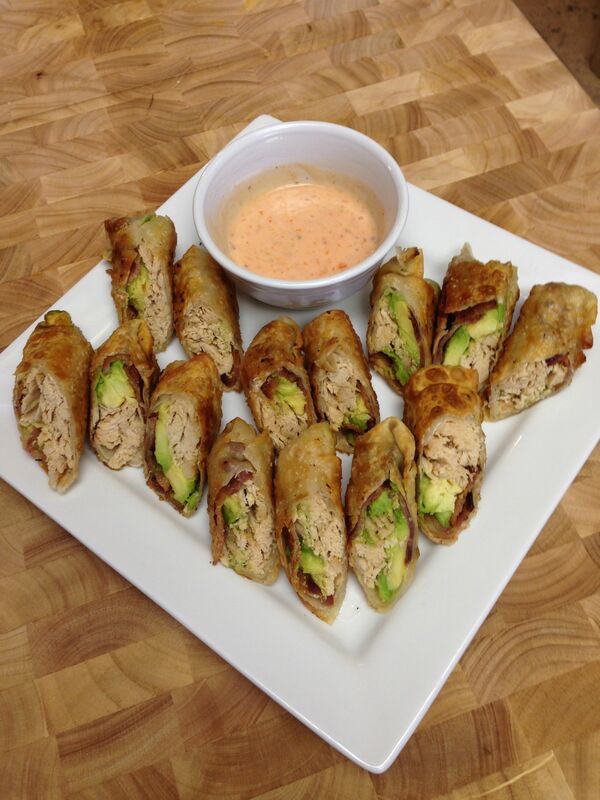 Using a few items I had on hand I whipped up these tasty appetizers. 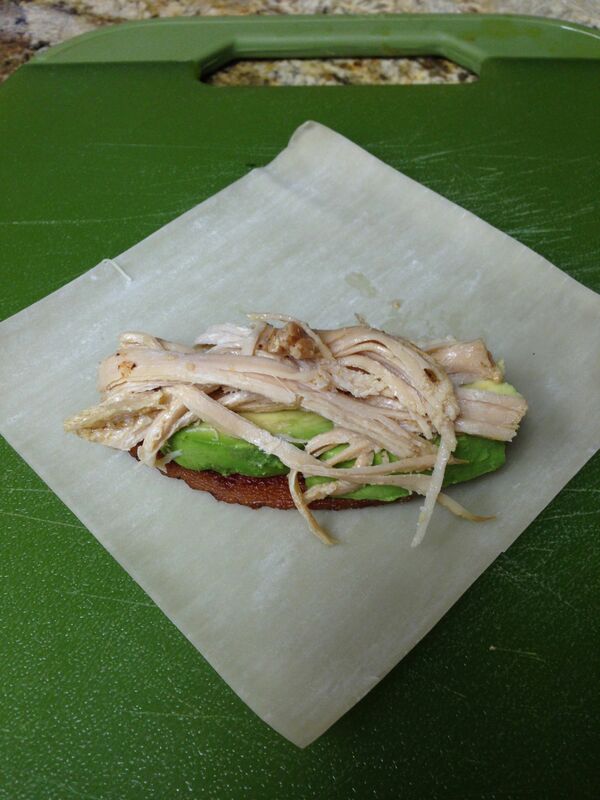 I think you can’t go wrong with the combination of bacon, turkey and avocados. That combo makes an awesome sandwich so I figured they would be just as awesome in an egg roll. You could easily add any ingredients you wanted – just make sure you have something creamy and crunchy to get the desired texture. 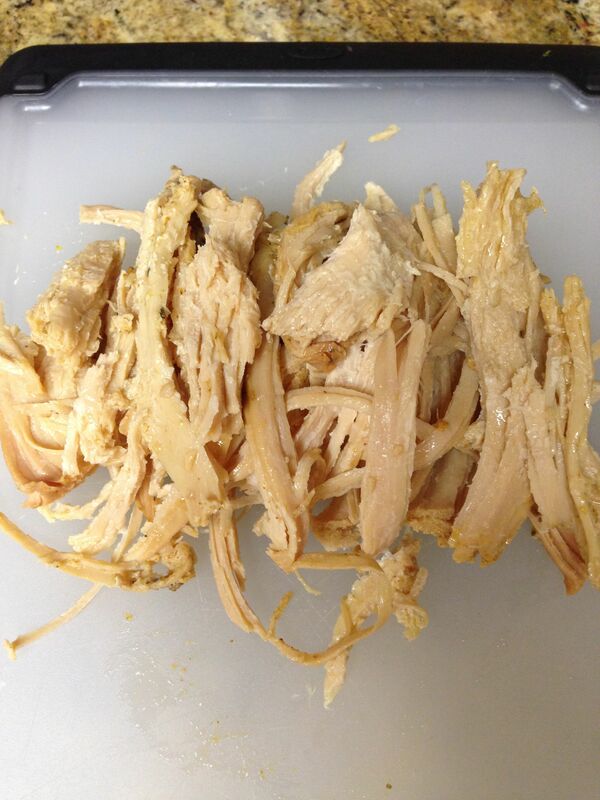 I used shredded turkey from the night before as my protein. To make egg roll wrapping quick and easy, make sure to have all your ingredients prepped. Make sure to not let the wrappers dry out. Assemble your ingredients in the center – allowing enough room to wrap it tight. 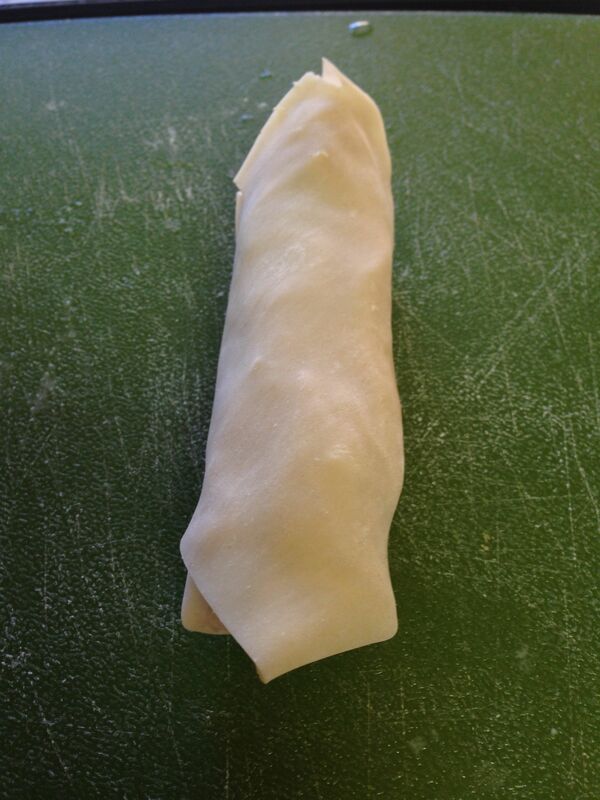 Wrap up the egg roll, by folding in the corners first then bringing the bottom of the wrapper over ingredients and roll tightly. I fried them in vegetable oil in a cast iron skillet. 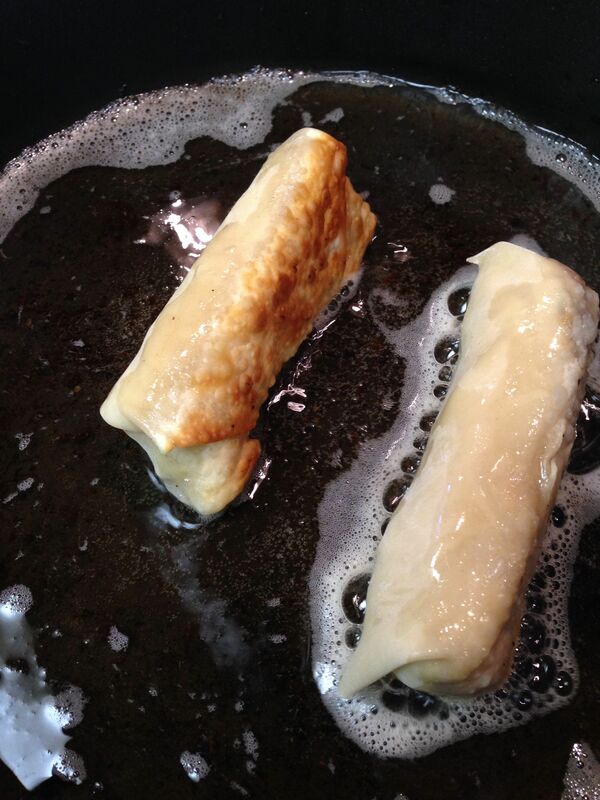 Remove from the oil and allow to cool on a paper towel to absorb excess oil. 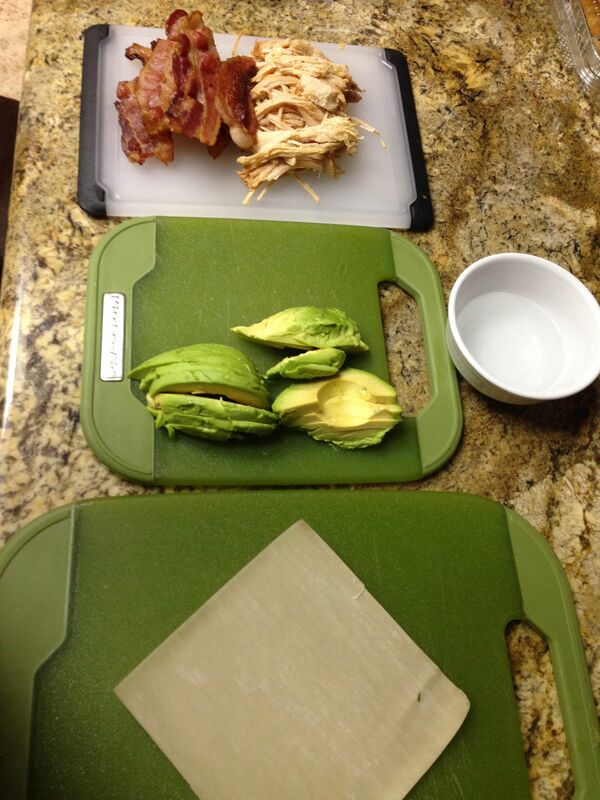 Slice them in half – you can cut at an angle for nice presentation. Serve with a spicy ranch! Spaghetti squash and chicken meatballs are a fall staple at our house. See the easy step by step on the blog (link in profile).